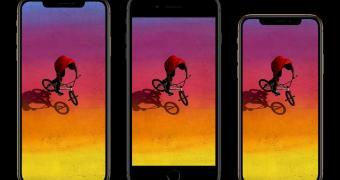 Apple has finally unveiled its 2018 generation of iPhones, with three models included this time, namely the iPhone XS, iPhone XS Max, and the iPhone XR. For people who have been keeping an eye on the leaks for the last several months, the launch has barely brought any surprise, as most of the reports that made the rounds lately proved to be extremely accurate. Apple introduced its new iPhones as the best it ever created, praising the new A12 Bionic chip, the cameras, and pretty much every single upgrade that the company made on its devices. Certainly, this isn’t totally unexpected, as Apple has used this marketing approach for every new iPhone generation. And needless to say, each iPhone was substantially more advanced than its predecessor, and every model was “the best iPhone ever” at its launch.